A total remodel to an 8,000 s.f. 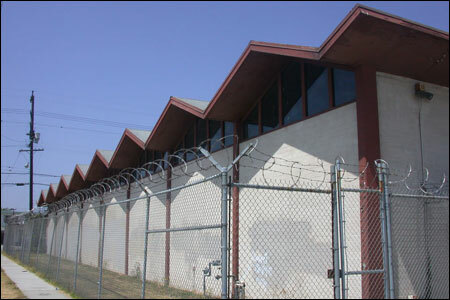 building located in south Los Angeles. The program was to create a satellite facility for L.A. County to run after school programs and activities for seniors living in surrounding housing developments. In addition, private offices and a meeting space was needed for Housing Management maintenance staff. The building incorporated a new lobby, computer training room, staff and public restrooms, demonstration kitchen, a large open multi-purpose room and open work stations. The site allowed for creating secure parking behind the building along with a secondary fenced courtyard space. For budgetary reasons this project did not move forward into construction.